Training and instruction on use and operation. At Fredriksen Fire, we believe in the principle of giving you “added value” for your life safety dollar. For example, in reference to the device list shown above, waterflow and tamper switches are part of your fire sprinkler system, and kitchen systems are pre-engineered fire suppression systems. Both of these require separate inspections to ensure proper operation. As a full-service fire equipment company, we provide you the added benefit and peace of mind that all of your fire and life safety protection needs are addressed by simply making one phone call to Fredriksen Fire. 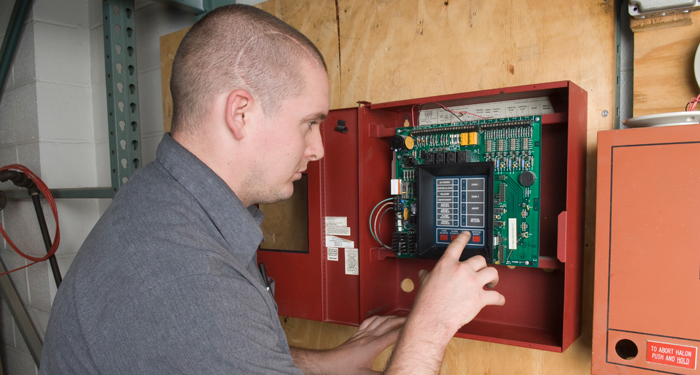 We can coordinate the inspections of the fire alarm system, fire sprinkler system and restaurant or commercial kitchen fire suppression system at the same time, which can translate into a significant savings as opposed to having each system inspected separately.